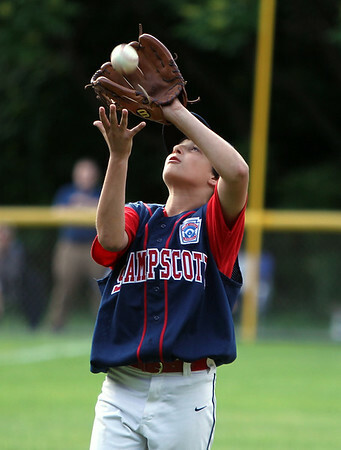 Swampscott shortstop Anthony Rakauskas hauls in a short popup to retire a Peabody West batter. DAVID LE/Staff photo. 6/26/14.